These days I fall under the category of fine, damaged hair, but this was not always the case. I used to be known as a Rapunzel amongst my friends. Always flipping my hair around, I hardly ever scraped it back. It was long and luscious until, one day, it wasn't. The main culprit behind the sudden onset of damage and breakage was, believe it or not, UV rays. I had moved to Europe and had been working and living on a boat, which meant I was seeing a lot of sun. The water on board was no help either—it left my hair feeling even more dry, no matter how much conditioner I used. Fast forward 15 months and my once long hair is now barely two inches past my shoulders. Sad face. 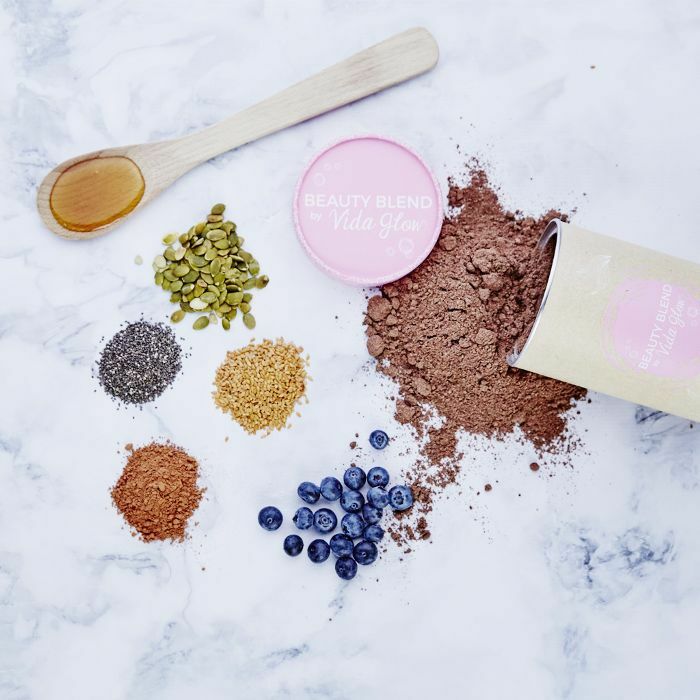 I'm not really a believer in supplements as I try to take what my body needs from food, but when Byrdie Australia beauty editor, Lisa left a gift on my desk—a hair, skin and nails booster from Vida Glow—I was intrigued. 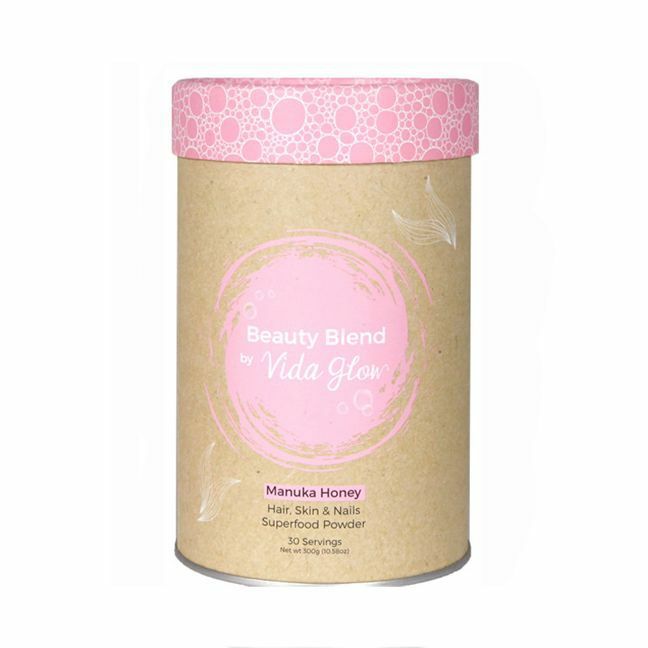 The first thing I noticed was that the main ingredient in the supplement is Manuka honey. Widely known for its nutritional profile and anti-inflammatory properties, I had no idea Manuka was also good for your skin when taken internally. According to the brand, the ingredient "is high in the antibacterial methylglyoxal which has been shown to increase collagen cross-linking, promoting the structural growth of collagen in skin cells meaning healthy, firm, youthful-looking skin". It also contains high levels of omega-3s and amino acids, both essential in building and repairing hair. After researching the product, to find it contained mostly plant-derived ingredients, I was in. I began a two week trial with low expectations, not wanting to be disappointed. (I've tried every hair, skin and nails tonic out there.) I took two teaspoons in water as soon as I got to work of a morning, knocking it back in one to avoid any aftertaste. The flavour wasn't terrible by any means, but in water, it's no fruit smoothie. I then began sprinkling the powder on top of my muesli, in lieu of drizzling on honey. That's when I began to notice a change in my nails. They went from stubby to strong, in three days. Soon after, I was taking my hair out of a bun when I noticed it looked thicker. Could this be?, I thought. It’s too soon, surely. It was the middle of the second week and though I had been consistently taking the powder, I wasn't expecting to see results so early. Then, I got confirmation. My sister said: "Your hair looks like it’s grown—what have you done?" Hallelujah. I had been waiting for a comment like this for months, and when it finally came, I knew I had the Manuka-based powder to thank. I was so encouraged I took a double dose for the rest of the week. Am I on way back to being Rapunzel? Only time will tell.